There is a motto used for the Lotto that states, “you have to be in it to win it”. That is true for evangelism as well. 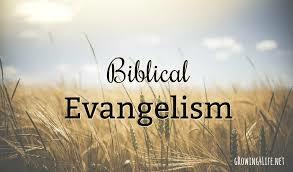 We will never be able to evangelize someone if we do not go and evangelize. It is part of the great commission to make disciples and the first part of making disciples is to evangelize.